Northeast PA Audubon Society is asking for volunteers to join the 117th Annual International Christmas Bird Count on Saturday December 17, 2016. Volunteer birders will travel the area beginning at dawn and ending when the last volunteer is finished! 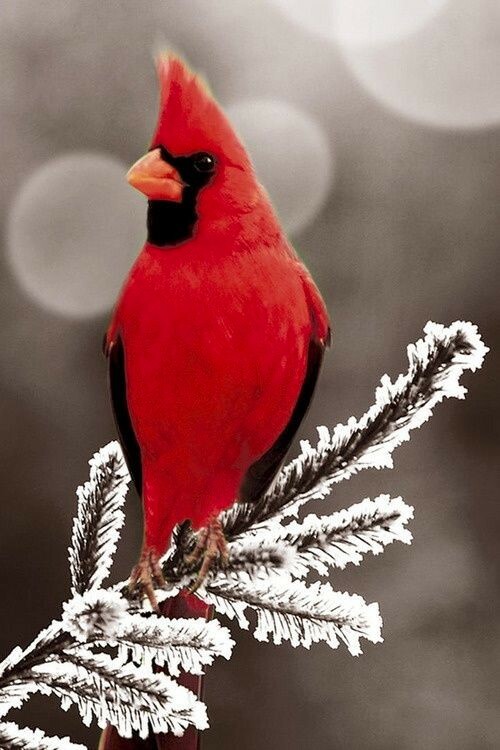 This is a wonderful way to take note of the many birds that are here at this time of year. You might get a chance to see late migrating birds if the weather permits. The count was established in 1900, as an alternative to the year end “side hunt”, when hunters would take to the fields to shoot as many birds as possible before sitting down to Christmas Dinner! Today’s Audubon Christmas Bird Count mobilizes over 70,000 volunteer bird counters in more than 2,300 locations across the Western Hemisphere. The CBC utilizes the power of volunteers to track the health of bird populations at a scale that professional scientists could never accomplish alone. Because birds are an early indicator of environmental threats to habitats, tracking and recording changes in their location are valuable to the understanding of weather patterns and consequently, the changing climate and its affect on our world. White Mills is the center of the count circle which was established over 25 years ago. During that time volunteers have counted as many as 45 species including waterfowl and wintering hawks. We have seen an increase in Bald Eagles in the area and the occasional Common Loon. Counters travel by car and on foot within designated areas of the 15 mile wide circle. If you are interested, call Barbara at (570) 253-2364. You don’t have to be an expert birder because we will partner you with those more experienced volunteers. You can also count from your window feeder. If you love nature, birds and adventure this day is made for you! Left: Honduran coffee farmer Emilio Garcia brings microlot samples to Black and Brass Coffee in Honesdale. Right: Emilio’s shade-grown coffee farm in Honduras. Try a cup of Honduran coffee for free at Black & Brass Coffee Roasting Co., 520 Main St. in Honesdale on Sat., Nov. 26 from 11am-4pm. The event, sponsored by the Northeast PA Audubon Society, showcases “shade-grown” coffee grown by a collective of Honduran farmers. That evening, starting at 7pm at the Chamber of Commerce on Commercial St. in Honesdale, we will host a fascinating program on how such shade-grown coffee helps provide habitat for threatened birds that summer in our area. 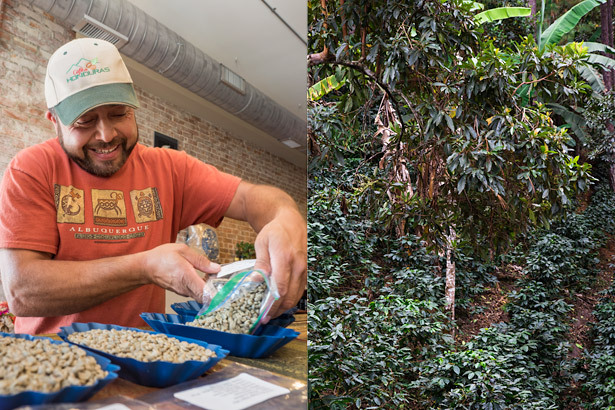 Featuring lots of great photos, you’ll learn all about where this special organic, shade-grown coffee comes from in Honduras and how it is grown. The “Honduran” coffee available at Black & Brass in Honesdale is cultivated at over 4,000 ft. above sea level in the mountainous region of Marcala in southwestern Honduras — an area renowned for producing some of Central America’s highest quality coffee. It’s also an area where Golden-winged Warblers and other migratory songbirds spend the winter. One of the most threatened songbirds in North America, the Golden-winged Warbler has one of the smallest populations of any songbird not on the Endangered Species List. Once found throughout Wayne County, sightings here are now considered rare. One of the main reasons for its sharp decline is habitat loss, both here in the U.S. where the Golden-winged Warbler breeds and in Central and South America where it spends the winter. You can make a difference — helping save the Golden-winged Warbler and over 40 more of our other migratory songbirds — by choosing organic, shade-grown coffee. The vast majority of coffee today is full-sun grown as it provides increased yields. Clear-cutting forests for full-sun coffee plantations increases soil erosion and contributes to deadly mudslides. Full-sun grown coffee requires large amounts of chemical fertilizers and pesticides, producing toxic run-off and acidifying the soil. In contrast, shade-grown coffee is grown beneath the forest canopy rather than in the full sun, preserving biodiversity and providing important habitat that benefits many bird species and other wildlife. The “Honduran” coffee available at Black & Brass in Honesdale comes directly from a small collective of independent organic shade-grown coffee farmers who are committed to their communities, biodiversity, and operating with complete transparency. Descendants of an indigenous Lenca tribe, they donate 5% of their profits to helping the children of Honduras. These farmers were connected with Black & Brass via the Northeast PA Audubon Society in cooperation with Partners in Neotropical Bird Conservation (PINBC). Following an exploratory trip to Honduras this past February, PINBC was formed with the mission to promote bird conservation and education with an emphasis on Neotropical migrants using the Golden-winged Warbler as a flagship species. They are working with the coffee farmers to make their farms even more bird friendly in addition to helping them sell their coffee in the U.S. The 2016 Pennsylvania Migration Count will be held on Saturday, May 14, 2016. The Pennsylvania Migration Count (PAMC) was established to gather annual data on migratory bird populations, and to help answer some fundamental questions regarding their distribution throughout Pennsylvania. PAMC is an annual one-day snapshot of bird populations within our state attempting to answer which species are present, where are they and how many there are? Detecting the changes in population will help give us an early warning of possible declines and it is hoped that steps can be taken toward assisting their future survival. In many ways, the PAMC is similar to the Christmas Bird Count (CBC), with the exception that it is county-based. Results from the count are compiled across the state and published in Pennsylvania Birds, our state ornithological journal. Can you join us in covering Wayne County? 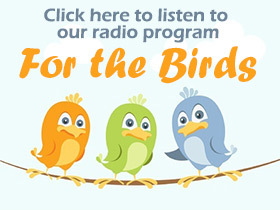 It’s a great way to spend International Migratory Bird Day! Birders of all skill levels can help out with the count. Beginning at midnight with the songs of the Whip-poor-wills (if we’re lucky!) and the hooting of the Great Horned Owls, the PAMC is a great way to spend time outside. 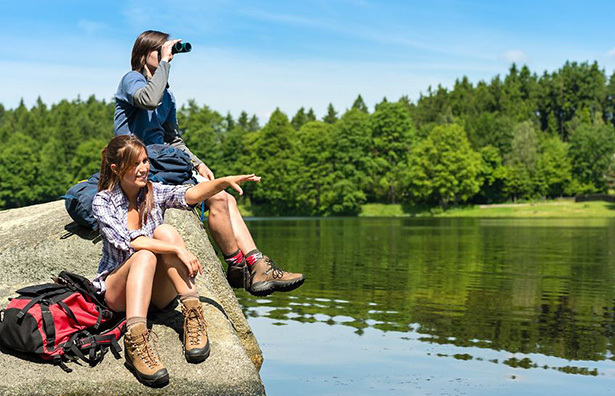 Whether you tally birds in your backyard, at your feeders, the local little league ballfield, along the river, on a lake, at your camp or spend time hiking through a state park, your observations count. While observations can be made over a 24-hour period, it’s up to you to decide how much time you will contribute. More information about the PAMC can be found on our Citizen Science page. If you are interested in participating, please contact Chris Fischer at cfischer@nepaaudubon.org.